(Natural News) A new jelly-like implant filled with pure alcohol may show potential in addressing tumor growth and subsequent cancer onset, a study reveals. A team of researchers at the Duke University in North Carolina have developed the new implant in hopes of confining cancer cells by exposing them to pure alcohol. The scientific community believes that doing so is an effective way of eliminating cancer cells, but has previously cautioned that alcohol exposure may also inadvertently affect healthy tissues. The research team has engineered the implant by mixing ethanol with ethyl cellulose. The experts explain that ethanol is a form of pure alcohol that makes up 12 to 14 percent of wine, while ethyl cellulose is a substance made from wood pulp or cotton and is commonly used as a thickening agent in both the food and pharmaceutical industries. The resulting mixture forms the jelly-like implant, which readily dissolves inside the body. The scientists then implanted the gel into seven mice with malignant tumors in the mouth to examine its efficacy. The tumor size is subsequently measured after eight days. 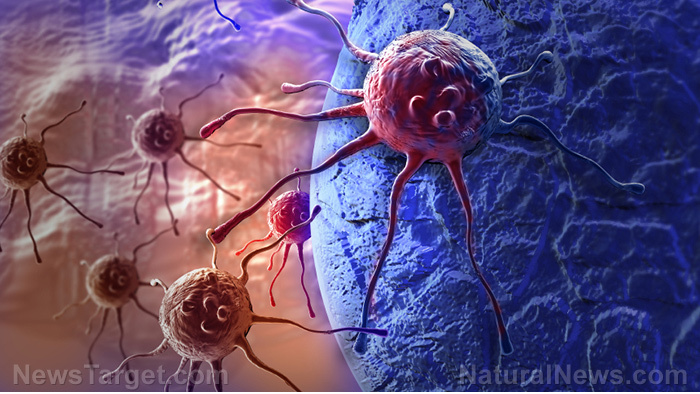 The results show that all the malignant tumors in mice disappeared. In contrast, only four out of seven mice that received alcohol injections alone have shown clinically significant improvements. According to the research team, the new implant works by slowly releasing small amounts of ethanol into the area of the tumor instead of flooding the site with alcohol. “Overall, our results suggest that this enhanced version of ethanol ablation could be useful in the treatment of a number of malignancies. Notably, breast cancer is the leading cause of cancer-related deaths in low-income countries…Given the general lack of accessibility to surgery or alternative tumor treatments in developing countries and the promising results presented in this study, enhanced ethanol ablation is a promising method to meet the unmet clinical need of rising cancer mortality that challenges healthcare systems in developing countries,” the researchers report online in the Scientific Reports journal. However, the research team is quick to point out the limitations of the study and has highlighted the need for further research to better investigate the implant’s potential. “Although we have demonstrated the efficacy of enhanced ethanol ablation in the treatment of squamous cell carcinomas in the hamster cheek pouch, there are several limitations to this study. First, the use of a chemically-induced tumor model…precluded the possibility of any long-term monitoring of tumor recurrence. Second, a single animal tumor model was utilized. Further study in other tumor models is needed to investigate such recurrence, and demonstrate therapeutic efficacy more broadly,” the researchers add. The research team has observed that a genetic facilitator of cancer onset in patients is basically similar to the cancer-causing mechanism of alcohol. According to the researchers, partially-metabolized alcohol is to blame for the increased risk of cancer in patients. The health experts note that drinking hard alcohol is a surefire way to increase the risk as it often remains in the body and produces partially-metabolized alcohol. However, the scientists note that the lowest cancer incidence are seen in those who regularly drank red wine. “In red wine, there’s something that’s blocking the cancer-causing effect of alcohol… resveratrol takes out the cells with the most damage — the cells that have the highest probability of being able to cause cancer,” researcher Robert Sclafani told Science Daily online. Follow more news on science and medicine discoveries at Discoveries.news.